If you have come this far you have probably already answered this question yourself but if you are not convinced then consider the following. A website will make it clear to your clients and customers what you are able to do for them. A website will make it easier to showcase your work or services without you having to lift a finger. Through the magic of search engines and social media, potential customers, who may not have ever heard of you, will find you without you ever spending a cent on advertising. Consumers prefer doing business with people that they know something about. Use your website to inform visitors about your business, of your community involvement, your products and services, awards, and employment opportunities. I'm sure you think that all sounds great but you want to know what you can expect. Below are some examples of WizzIT's previous work. 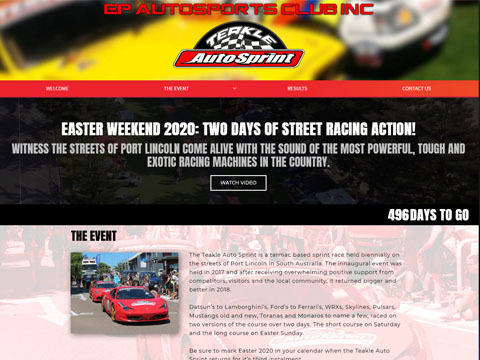 The Teakle Auto Sprint website was set up to attract and inform spectators and competitors to one of Port Lincoln's most exciting motorsport events. 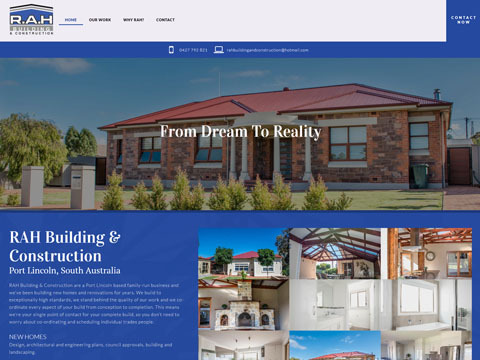 The R.A.H Building & Construction website was used as a showcase of work for a Port Lincoln based building company. 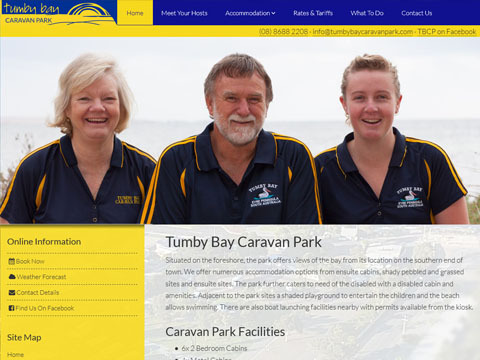 The Tumby Bay Caravan website allows potential visitors to book caravan sites or cabins as well as acting as an informational resource for local attractions and activities. 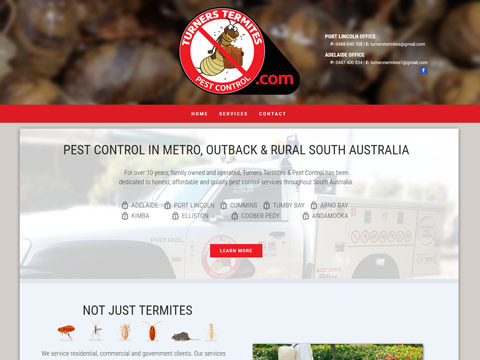 The aim of the Turner's Termites & Pest Control website was to expand the service area of their business and to give visitors specific information on the numerous services they offer that are not immediately obvious. 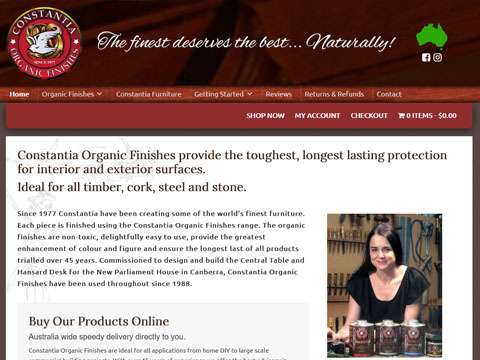 Constantia Organic Finishes sell premium quality wood finishing products throughout Australia. The website allows customers to order and pay for products online and for staff to manage stock and orders easily. 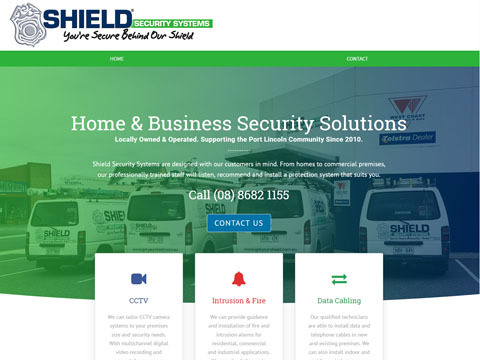 Shield Security Systems use their website to inform customers of CCTV, intrusion and fire alarms as well as data cabling services, service areas and contact details. "Our ambition was to have a website created to provide easy access to information on our products, with efficient online shopping options. As search engine optimization is an essential companion to online business, effective processes associated were also of great importance. Ben from WizzIT has been able to execute all of the aforementioned and he continues to provide the most up to date options to improve functions." "Ben from WizzIT has done a fantastic job setting up a web site for my business. Great service and very affordable. Thanks Ben!" If you want to find out more please contact WizzIT today.